A retired electronics engineer told me that this is due to a build up of rogue files in the computer registry. Since I am not expert enough to remedy that, I have had to download another application to play my CDs. Can you recommend a similar application for DVDs? Indeed, bugs and format restrictions in Windows Media Player (WMP) are nothing new, and Windows has once again failed to deliver a better multi-media interface with its new operating system, Windows 7. For what you have described, it doesn’t seem like this is a case of WMP missing codes, which you could have fixed by upgrading your version of WMP. Instead, it sounds like you have suffered software corruption, which will require (as your retired engineer stated) a clean-up of your computer’s registry, which we wouldn’t advise. 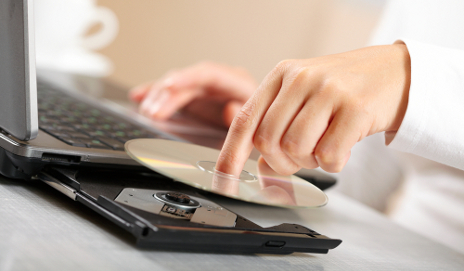 You could try running Microsoft’s Fix it tool to check for CD/DVD drive issues. Failing that, it’s best to use software other than WMP. Luckily, free applications have improved a lot lately, both in functionality and interface. VLC media player is a very popular choice – not only is it compatible with most operating systems, but it will play most of the video formats (CD/DVD/VCD) and audio files (MP3/AAC/MIDI) without the need to install extra codec or add-ons. Good luck! I’m afraid this was not helpful. None of my music/media players work anymore. They all keep cutting off, including VLC. I am very upset by this as I have CDs and MIDI file music I wish to play that I cannot listen to anymore.